I love utility jackets. I have about 8 utility jackets in my closet and it's not something I'm going to stop buying anytime soon. It's a staple that everyone needs in various different colors. Personally I'm a huge fan of olive green utility jackets, but I also have a few options in navy blue and tan. What I love most about these jackets is how versatile they are. You can wear them with almost any outfit and you know it's going to look good. I recently received a new utility jacket from StyleWe, an e-commerce platform that features fashion items from independent fashion designers. But this utility jacket was unlike anything I currently have in my closet. This jacket was a statement. It embraces the same quality of a standard utility jacket–olive green, comfortable and flattering–but it stands out from the crowd because of the embroidery and multi-patch design throughout the front and back. The jacket is finished with gold details with the zipper and metal studs on the front giving it a little something extra. Utility jackets won't ever go out of style, and if you're looking to refresh the ones you currently own then opt into purchasing a new one with some patches and metal details to spice up any simple outfit. 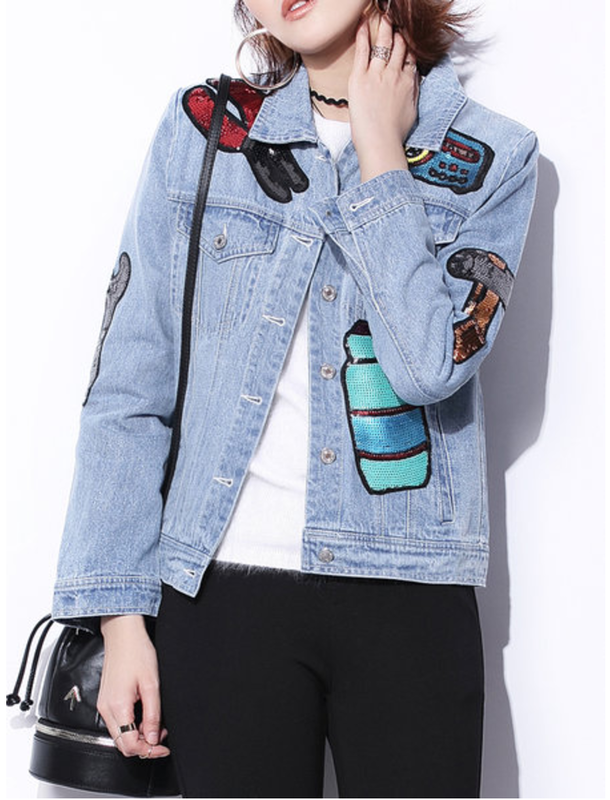 Unfortunately the jacket I'm wearing is sold out on StyleWe, I found a handful of jackets with similar looks–either a utility jacket with patches or other jacket styles with embroidery. Just click on the pictures below and you'll be taken to the StyleWe showroom. Happy shopping!